First you're going to want to think about what size you want to make your jewellery box. 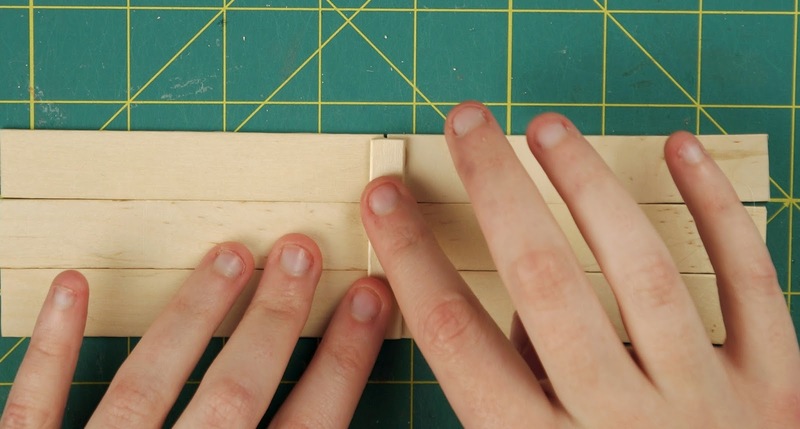 Keep in mind that you won't want to cut the larger popsicle sticks thickness so work around their size (i.e. 3 popsicle sticks tall). We're making a box 8" long, about 3" deep (4 large popsicle sticks) and 3 large popsicle sticks tall. Once you've decided on your length, measure half of the size of the total length (4" for an 8" box) and mark it onto a large popsicle stick. Make sure to start your measurement before the end starts to round, you need a straight plank. Next, take your craft knife and begin to score the lines, it's much easier to get a clean break if you score both sides. 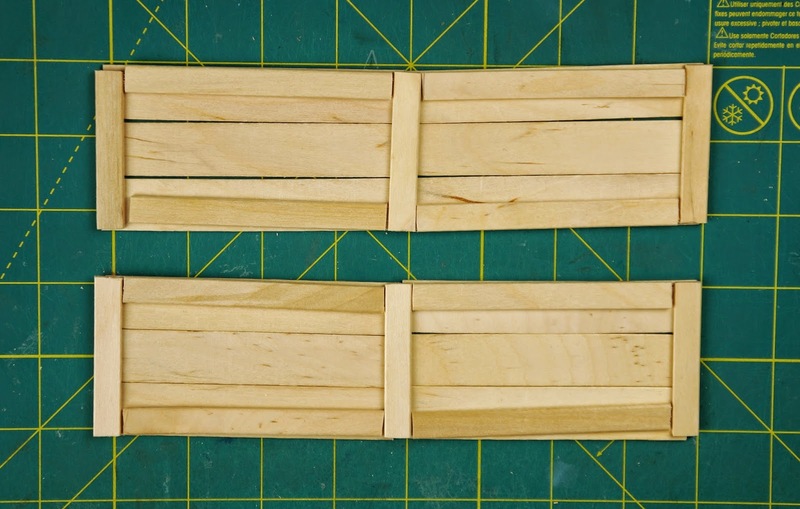 Once you have both ends cut off, do the same thing for 5 more of the larger sticks so that you have 6 of the same length (or however many your large side will be using). You can use your first popsicle stick as a measurement guide for the rest. 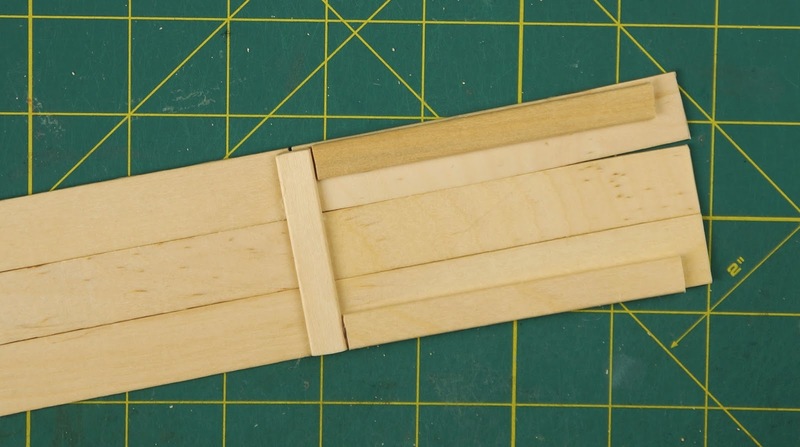 Line up your cut popsicle sticks like how you'll be gluing them (place the larger ones together and lay the smaller ones on top in the middle and other end). 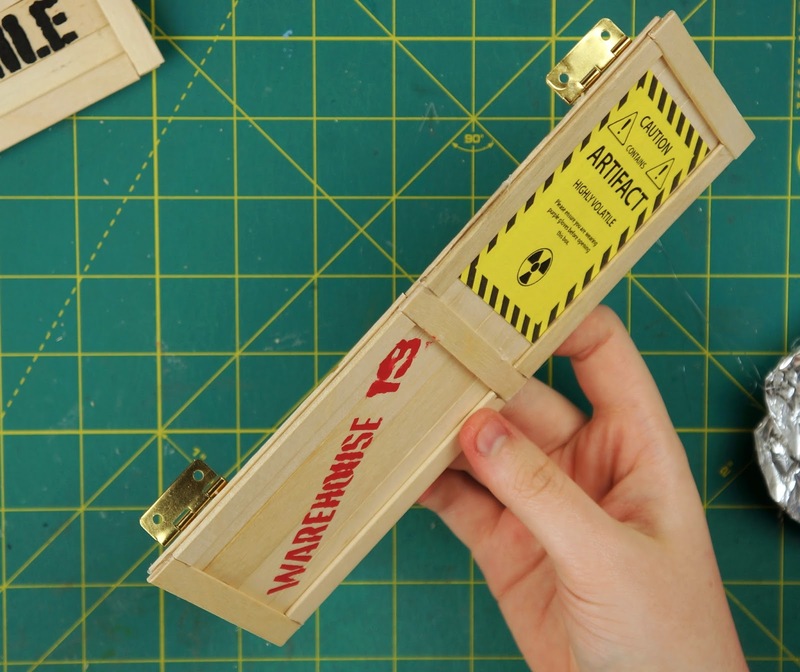 Then take another small popsicle stick, line it up with the top of your placed sticks and mark the popsicle stick where the insides of the small vertical popsicle sticks hit (so when cut it fits in between). Do that for 3 other small sticks (4 total). That's one of the large side's pieces cut. Now repeat all of the steps to make another side of the same dimensions. 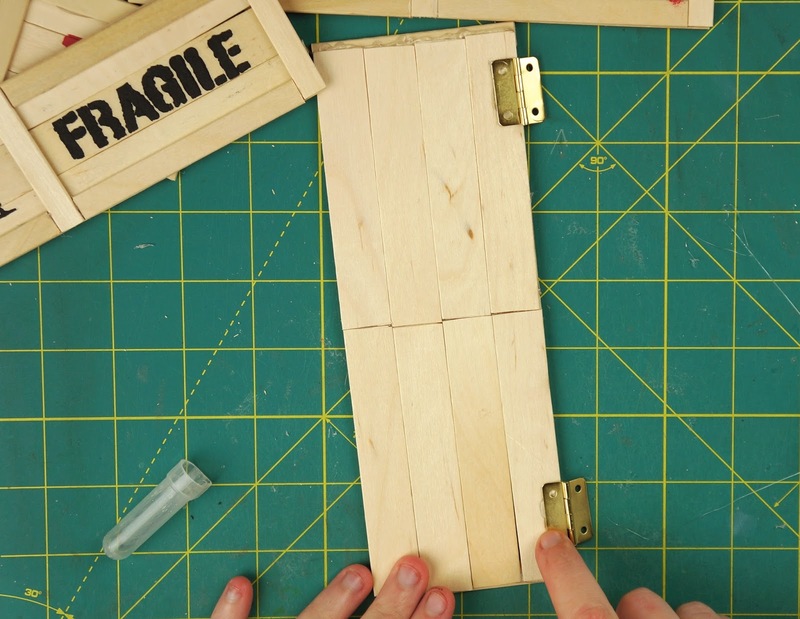 Now you can start to glue the popsicle sticks together to make a finished side. 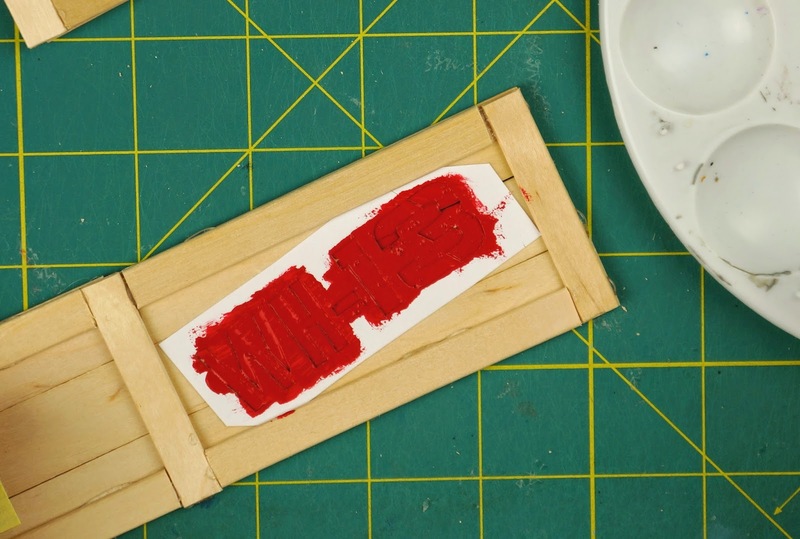 Start by hot or super glueing the small middle stick to the larger popsicle sticks. Then glue the small horizontal sticks down, right up against the middle vertical stick and then finish off the side by glueing the other smaller vertical sticks to the end, pushed up against the horizontal ones. Do that for both sides. Now it's time to start working on the lid/ bottom pieces. 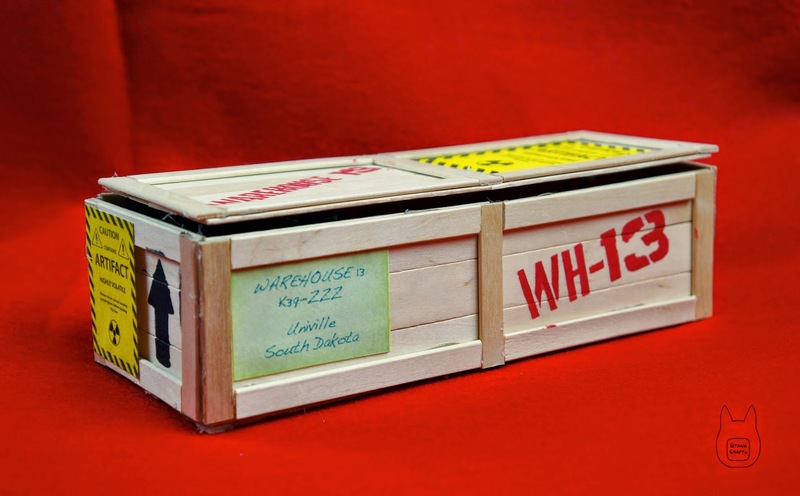 Measure the same half-lengh of the box like you did for the large side onto a large popsicle stick (4" for a finished 8" box). Score and break off the ends and then do the same for 7 more (8 sticks total) sticks or however many you are using for your box depth, 4 large popsicle sticks is about 3". Then place the small sticks vertically onto the large ones and measure and mark the distance between the small sticks (inside of edge stick to inside of middle stick) onto another small popsicle stick. 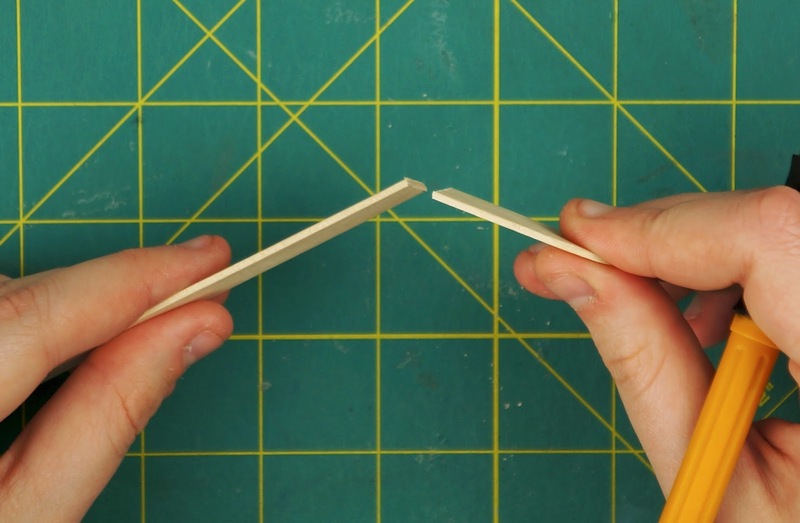 Again, score and break off the ends then make 3 more (4 total) small popsicle sticks the same size. 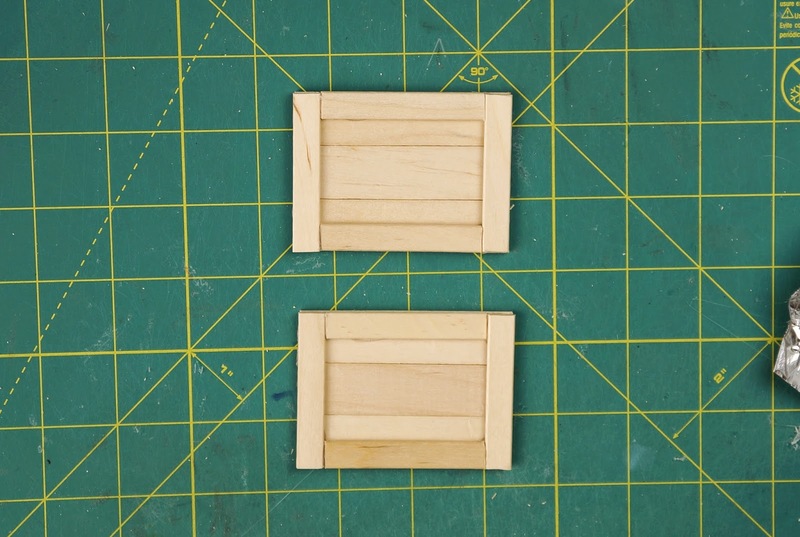 Repeat all of the steps to make pieces for another side of the same dimensions (lid or bottom). 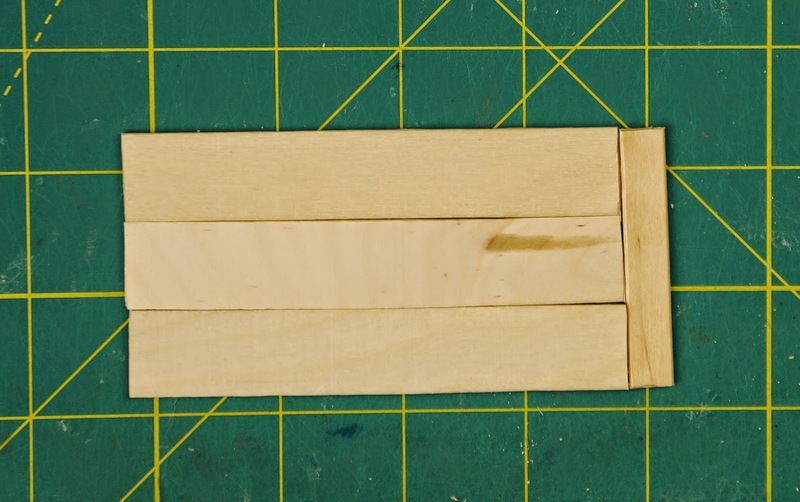 Once you have all of the pieces cut for the second side, glue the sticks together to create 2 more finished sides. Now it's time to work on the small sides (ends of the box). 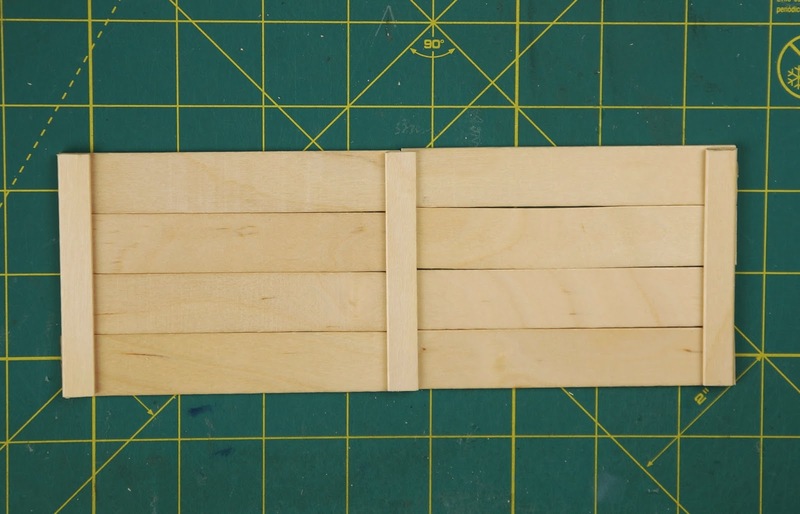 Take one of your lid/bottom pieces and measure and mark the width onto a large popsicle stick. Score and break off the ends and then do the same for 2 other (3 in total) large sticks (or however tall your box is). Again, just like the other sides, line up your large sticks and measure and mark their combined height onto a small popsicle stick. Score and break off the ends then make another small stick the same length (2 total). 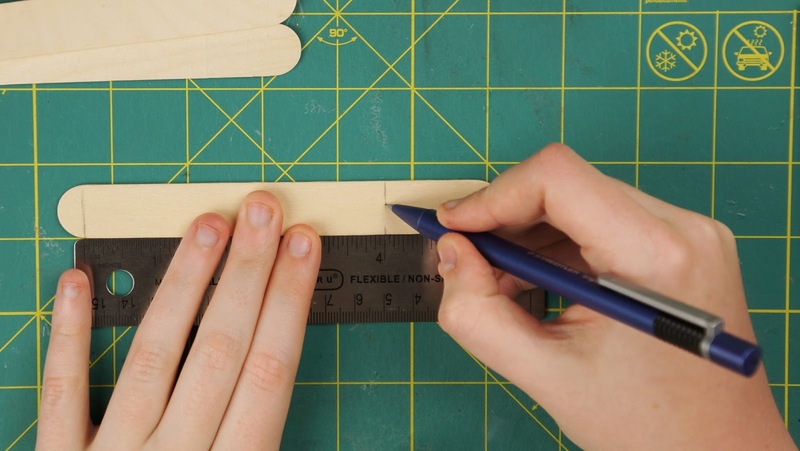 Place the small sticks on top of the ends of the large ones and measure and mark the distance in between them on another small popsicle stick. Make another one the same size (2 total) and score and break off the ends for those as well. Do the same steps to make the other end of the box. 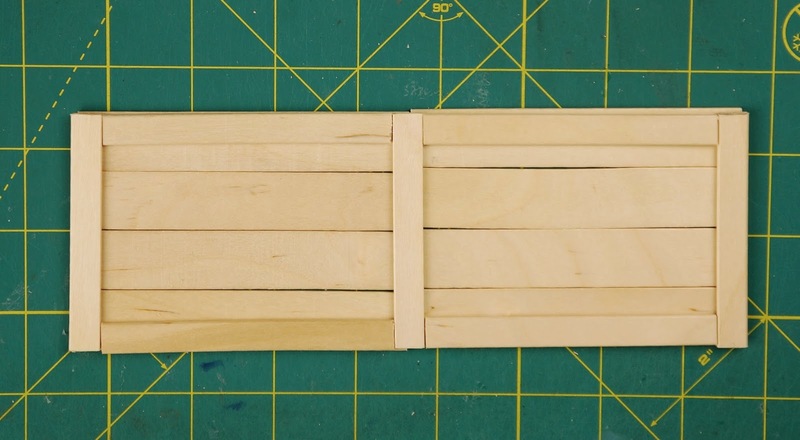 Once you have all the pieces for the last 2 sides, glue the sticks together. You should now have 6 finished and glued together sides. Now for the fun part, decorating! Make sure you've printed out the stencil/decoration template. It can be found here. 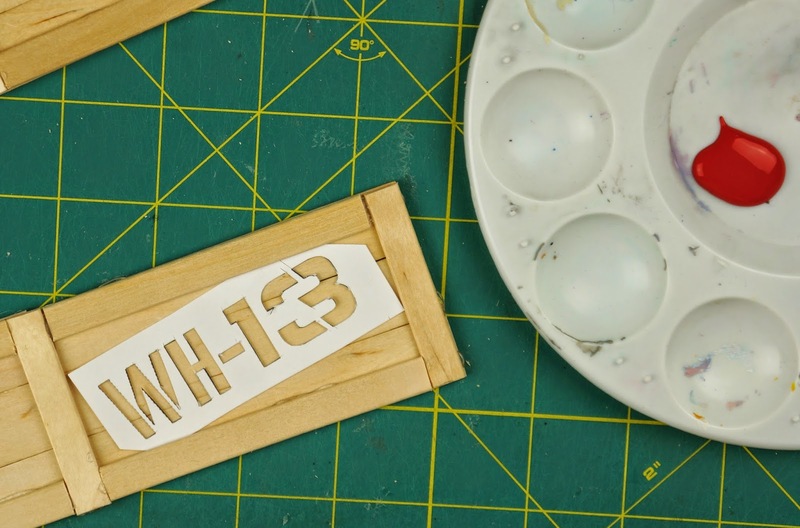 You might want to print it out on a thicker paper so that the cutout stencils are stronger. 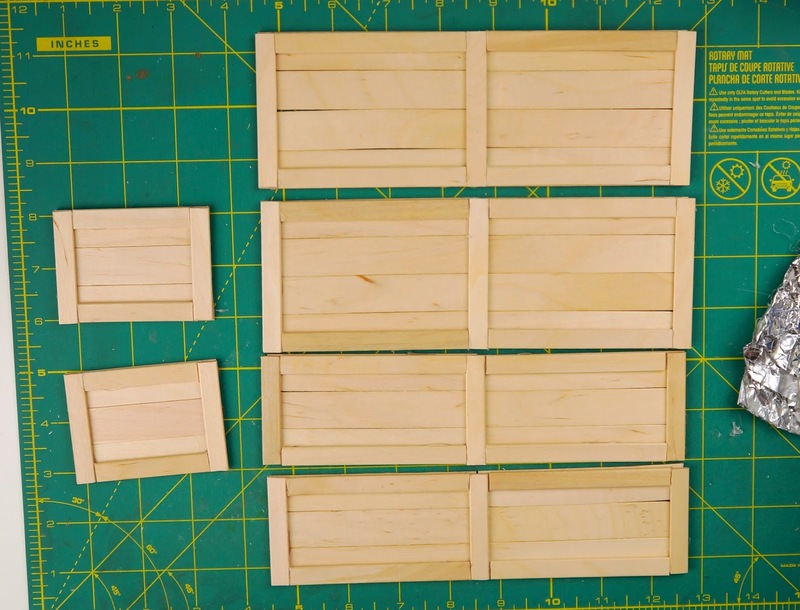 Cut out any of the pieces that you want to use. 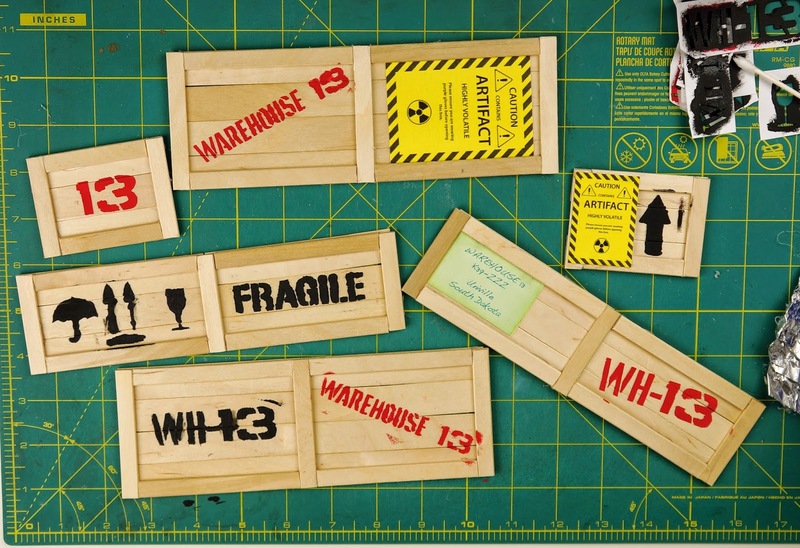 You can glue or Mod Podge the artifact warning and warehouse address pieces to the crate. 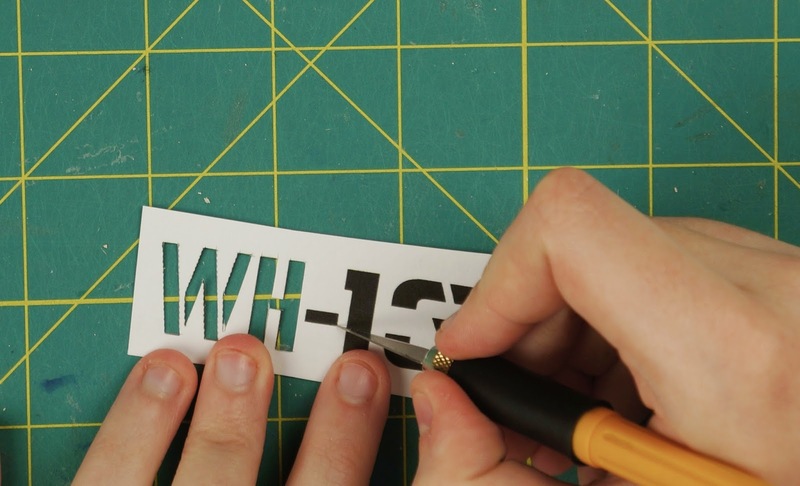 For the letter/symbol stencils, cut around the one you want to use (leave excess paper around the letters), then with your craft knife, cut out the letters to create a stencil. Place it on the part of the crate you want it to go on and paint over the piece of paper with acrylic paint and a sponge/paint brush. Decorate as many sides as you like. Let the paint and glue dry before moving onto the next steps. 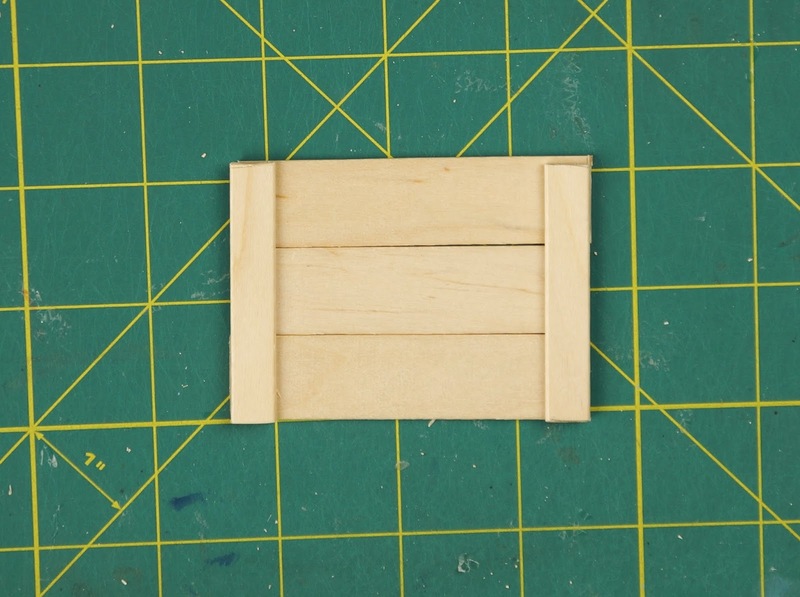 Take the piece that you want to become the lid of your box and glue 2 or 3 (depending on the size of your box) small hinges to the inside of the lid. Now it's time to start constructing the box. 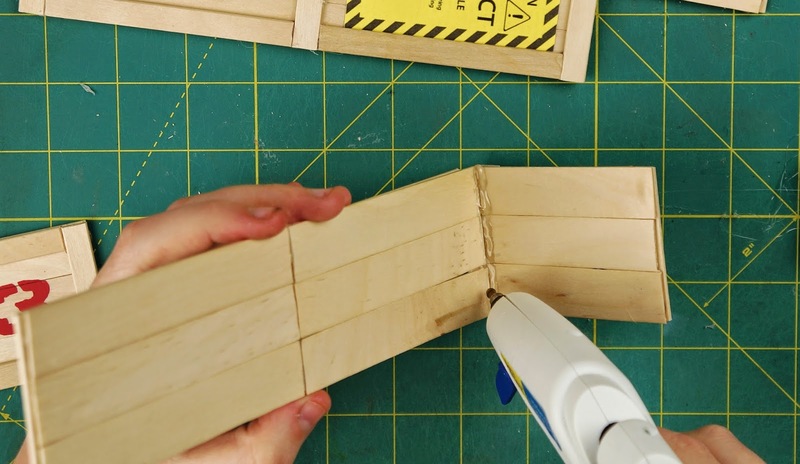 Start by glueing one of the large sides to one of the small ends, running some excess glue along the inside where the edges meet will help strengthen the box. Next, glue the other large side to the same small end. Glue the bottom of the box to the 3 sides already glued together, then finish off with gluing the other small side to the open end. 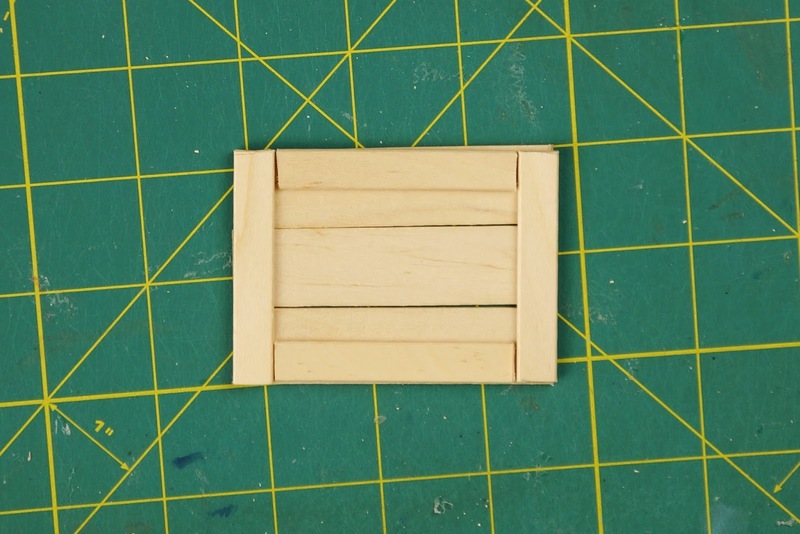 Then you can glue the other side of the hinges on the lid to the inside of one of the large sides of the crate. 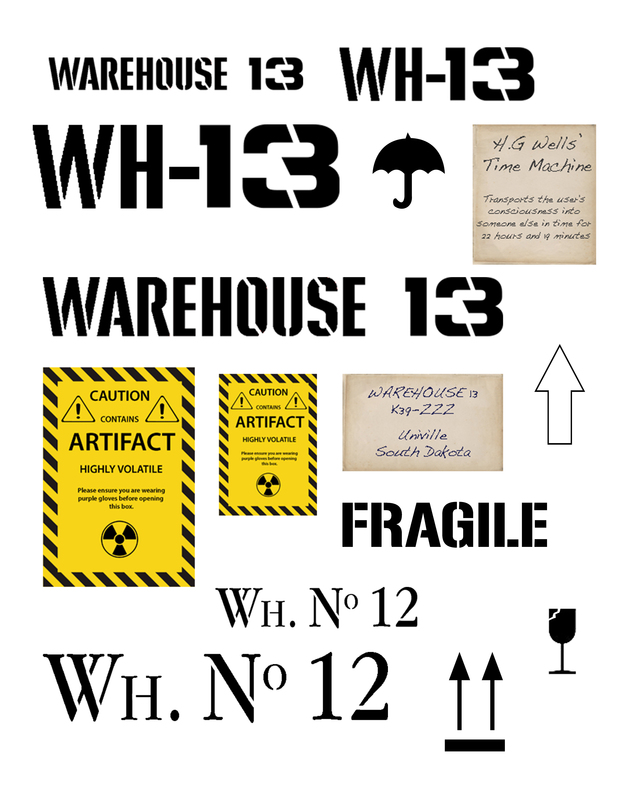 Now you have your finished Warehouse 13 crate jewellery box! 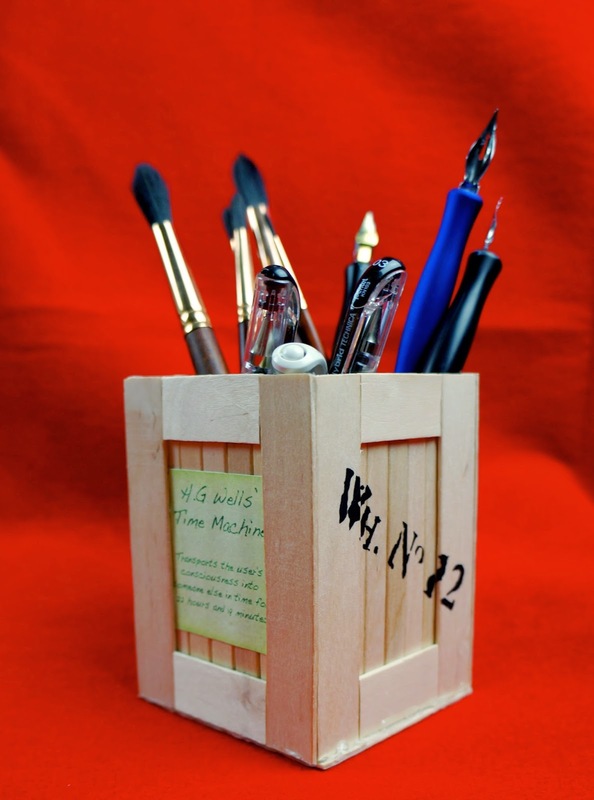 You could also make a smaller box and not add a lid to create a desk organizer.